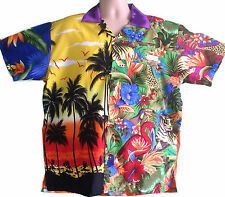 The absolute ultimate Hawaiian stag shirts. Shite enough to make you Cringe. 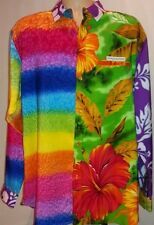 GENUINE MENS SHITE SHIRT SIZE M Medium. Condition is Used. Dispatched with Royal Mail 1st Class. The Surprise Shirt by Shite Shirt. This shirt is a adult male size but it could fit a teenager for Prom Night or under a posh suit for a wedding, possibly 13/18yrs old depending on the teenagers size etc. 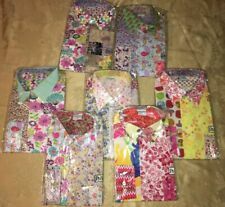 SHITE SHIRT size M Floral pattern ,No matching Panels BEAUTIFULLY ORIGINAL. Condition is Used. Dispatched with Royal Mail 1st Class. Shite Shirt Genuine - Polo Style Size Large Delightfully Vulgar. Condition is Used. 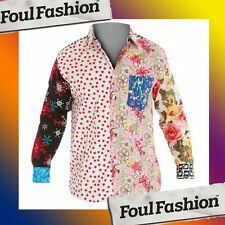 The shirt has been worn once and is made of the usual OTT patterns made famous by Shite Shirts. The page size will comfortably fit someone who usually buys a size 42 or 44 chest (46 if you like a snug fit). It is very eye catching and is quite the conversation starter. Mens XXL Brooks Brothers St Andrews Golf Polo Shirt Blue Shite Stripe 2xl. Condition is Pre-owned, but like new. Measures 33” from collar to hem and 27” pit to pit. Shipped with USPS First Class Package $4 in USA! 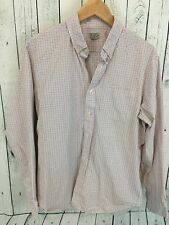 Very nice J Crew shirt in good shape.